A car is a big investment so you need to protect it as well as your belongings inside, so it is just as important to invest in a good quality car alarm. You should consider car security as a top priority. It will make your car more difficult to steal and it also offers everyday conveniences like allowing you to lock and unlock your doors with a remote control. Some advanced systems even let you use your smartphone. It’s a great technology that has evolved throughout the years and if you’re curious to know, here is a short introduction on how car alarms work. But you should also be equipped with knowledge on how to protect your car. Take a look at the myths and facts about car theft. If you want to upgrade your car sound system, here are the best 10-inch subwoofers that you can look at. There are different types of car alarm systems. How do you choose the right one for your car? We’ve listed down the best systems that you can install, depending on your preferences. Our number one choice is the Crimestopper SP-101 Deluxe 1-Way Alarm and Keyless Entry System. This is a one-way car alarm system with up to 500 feet range or up to 1,500 feet in optimum conditions. It features remote keyless entry with programmable double lock pulse. Its emergency overrides and disarm feature allows you to open the doors and override the alarm if the transmitter is lost. The is a four button remote transmitter. It has an audible and visual alarm with intrusion alert that you can also disarm. This has right and left side parking light output for European vehicles. 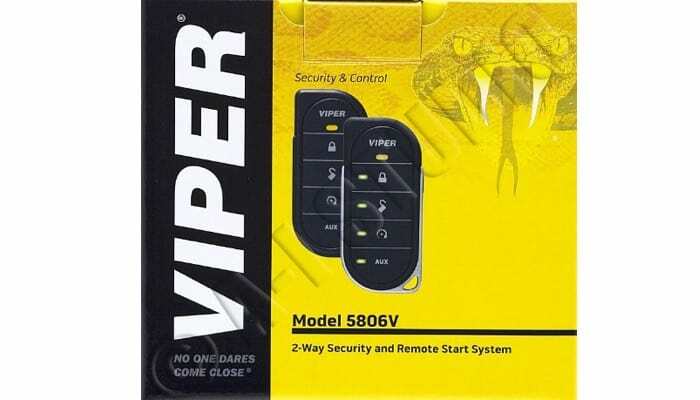 Our next top choice is the Viper 5806V 2-way Security System w/Remote. 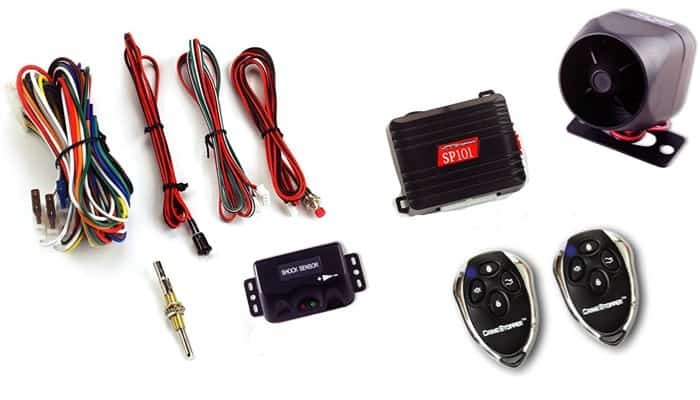 It’s a 2-way keyless entry car alarm that is also a remote start system. It has a 5 button LED transmitter with a one-mile range. This alarm system can support up to two vehicles so it’s a great value though it’s a little bit more expensive than other models. It comes with two remote controls as well. It’s easy to install. You would not need much professional assistance. It comes with a DIY instruction. This has a great quality and very versatile. Another great model from Viper is the Viper Responder 350 2-Way Security System 3305V. This is a two-way car alarm security system that features keyless entry and LCD 2-way remote transmitter. The keyless feature is built in so you would not have to configure anything. It also includes a four button 1-way sidekick remote. If you also want to put some extra protection for your windshield from the sun, here are the best windshield sunshades for cars. 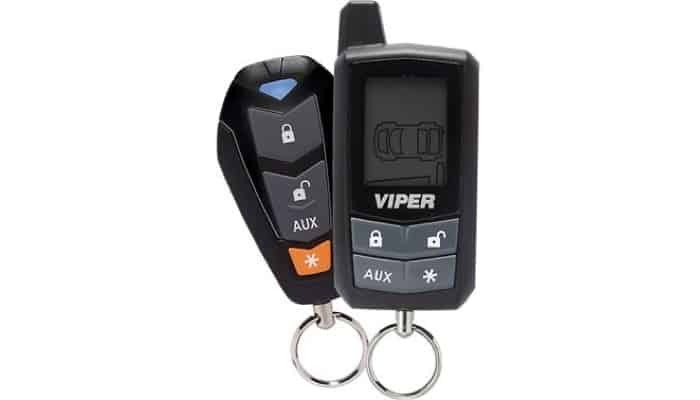 The Viper 5305V 2 Way LCD Vehicle Car Alarm Keyless Entry Remote Start System is also a great option. It features up to ¼ mile range. The remote has a backlit LCD display so you will not have trouble seeing the information in the dark or at night. The on-screen user interface is easy to use and understand. It’s compatible with the Viper SmartStart. This system also features shock sensor. It has six tone sirens so you can customize your alarm according to your preferences. It relays separate ESP2 and D2D ports. Another simple but functional alternative is the InstallGear Car Alarm Security & Keyless Entry System, Trunk Pop with Two 4-Button Remotes. It features keyless entry which offers a lot of conveniences when entering and locking your car after exit. The kit includes two 4 button remotes so you will have a spare in case you misplace your main one. The LED indicator light lets you know the status of the lock and alarm system. It also features trunk pop so you would not have to go all the way to the back of your car to open the trunk. If you want a really affordable solution, you should also consider the Winner International The Club SA110 Vehicle Anti-Theft Alert Signal and Decal Combo Set. 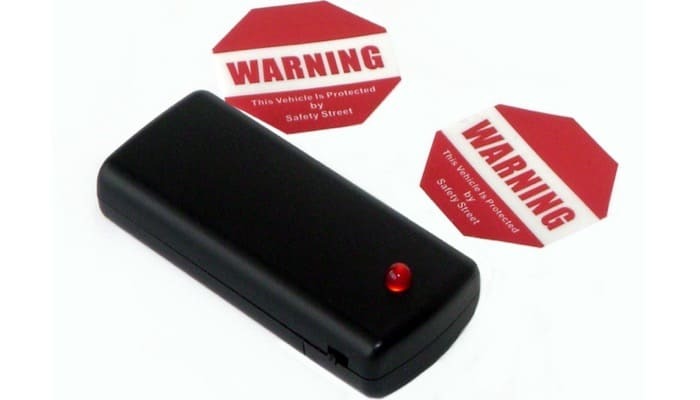 This is a car alarm imitation that you can install in your vehicle which looks like an alarm system to deter auto theft. The kit includes 2 self-adhesive warning decals and 1 flashing LED light unit. These LEDs install in seconds to your car’s dashboard or control panel with a hook tape. The decals easily attach to the inside of your windows so it’s protected from the elements. Car alarms are very useful but you need to be smart when choosing which one to install in your vehicle. 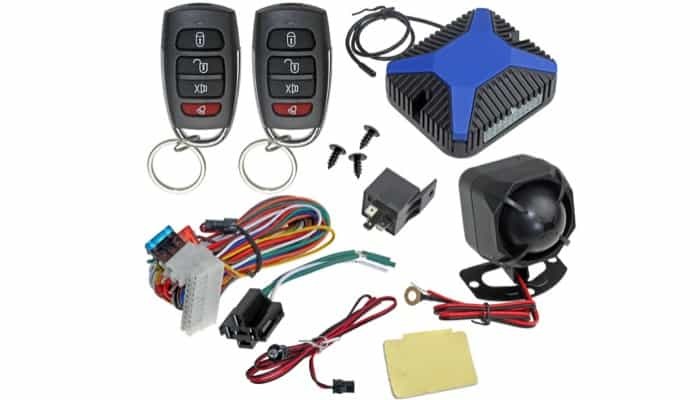 A good quality car alarm comes with a variety of sensors that are programmed to detect theft as it happens or that is currently in progress. The siren of your car alarm needs to be loud enough both to alarm the burglar and to notify you as well as other people around that something is going on. It will go off when someone attempts to steal your car. A two-way remote gives you feedback on your car’s condition and will respond to commands. This is very useful so you will always know the status of your vehicle. This feature offers a lot of conveniences. You can let your vehicle start as you approach your car so that it’s waiting for you and ready to go. You can warm it up in advance during winter and cool it down during summer. Some car alarm security systems allow you to use your smartphone to control the system. 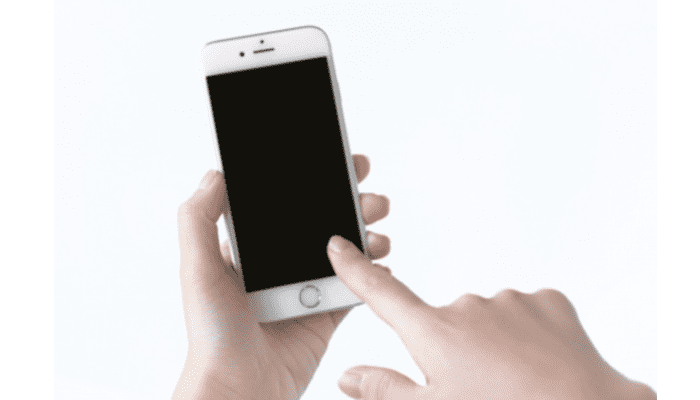 It gives you unlimited range as long as you have service on your phone. Other features that will be nice to include in your car alarm system would be a GPS so you can keep track of your car’s location as well as good documentation online.